Japanese-born Taiki Yanagida is a relatively new face on the New Zealand racing scene, but already he is notching up an impressive record, riding his way to 31 wins since his first race ride in December 2017. The twenty-five-year-old is an apprentice jockey at Wexford Stables in Matamata, under the tutelage of top racehorse trainer, Lance O’Sullivan. 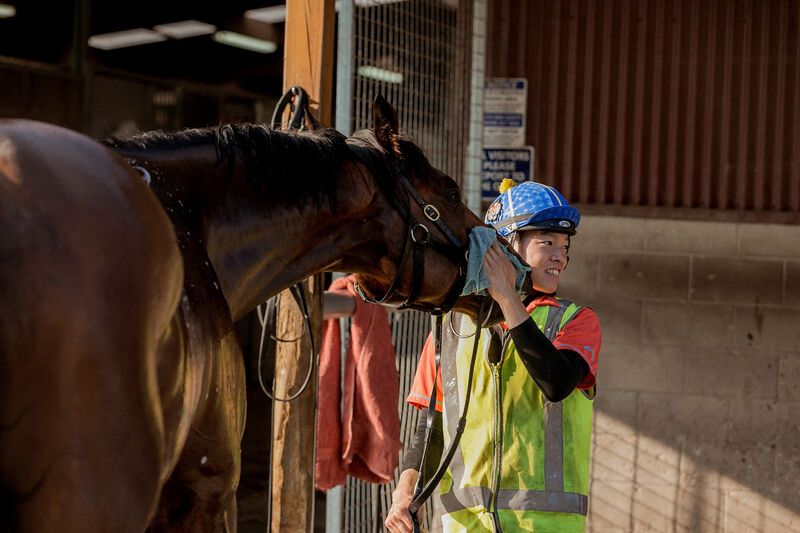 Having worked hard and given up so much to get to this point, only learning to ride at age 18 and leaving behind his family and friends in Japan to pursue an apprenticeship in New Zealand, Taiki has all the motivation needed to make it to the top. His determination is paying off, with results that you can’t help but sit up and take notice of - results that see him currently sitting 18th in the flat jockey premiership in only his second racing season. Taiki’s first win aboard Jewel of Patch in January 2018 came less than a month after his first ever race ride on Kariokka in December 2017. “It was an apprentice only race, Jewel of Patch was travelling nicely all the way and finished off really strong,” says Taiki. “It was such a good feeling and I thought ‘I want to have this feeling more and more!'" Taiki went on to secure another four wins in the 2017-2018 season and has ridden 26 winners already this season. Three of those wins to date have been aboard Taiki’s favourite horse, the Wexford Stables trained gelding, Divine Duke. Taiki’s success so far is made all the more impressive by the fact that he only started riding just seven short years ago. Taiki became interested in racing when he was taken to the races by a friend while he was in Brisbane for three months studying English. Impressed by the size and strength of the racehorses he saw, and in awe of the jockeys keeping them under control, Taiki decided he wanted to be a jockey. When he returned home to Chiba in Japan, Taiki started a part time job in an Italian restaurant and pet shop to pay for riding lessons. Though he was itching to pursue a career as a jockey, Taiki’s mother insisted he go to university first, which he did for a year, studying humanity. However, the Great East Japan earthquake in March 2011 made him worried about his future due to the extreme destruction in Japan. About a month after the earthquake, Taiki got the opportunity to meet Italian jockey, Umberto Rispoli and get his autograph, which gave him another push towards his dream. 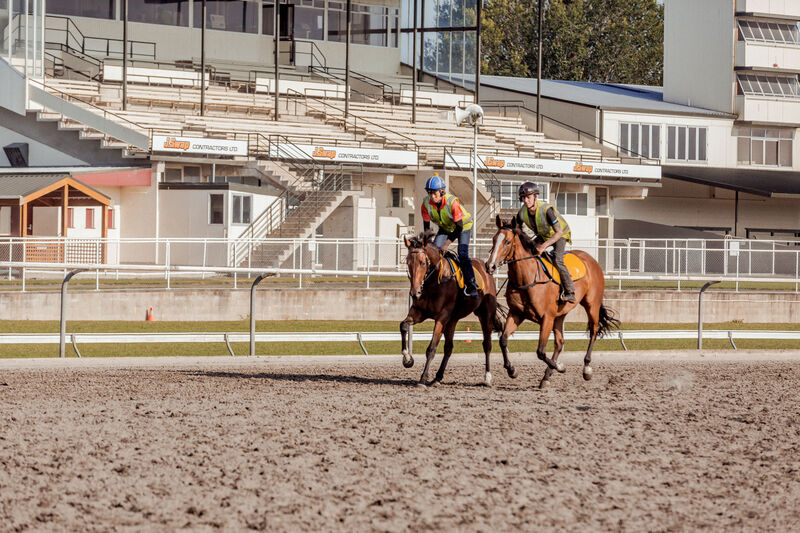 Taiki left university and first went to work for a pre-training farm in Japan to learn the basics about racehorses, before moving to Australia to work for Tracy Bartley, on the Central Coast, north of Sydney. Battling through countless falls, Taiki says he learnt a lot about riding horses, particularly green ones. When his visa expired, Tracy tried to get Taiki his jockey license in Australia but his English wasn’t good enough, so instead he enrolled at an English school in Sydney and started working for Peter Snowden, before moving to New Zealand in 2016. Taiki initially rode track work for Wexford Stables and recalls Lance (O’Sullivan) telling him that he had some ability, which helped him pluck up the courage to ask for an apprenticeship, and he hasn’t looked back since. Like most apprenticeships, the hours are demanding with 3.45am starts, and plenty of hard work on the ground, as well as in the saddle, but Taiki loves the groundwork which helps him to learn more about horses. He says Lance is particularly strict about running time when the horses are galloping, but this is also helpful for his development. “I always get in trouble from him because of it, but the skill is so important in racing, so it’s good to learn about this from Lance,” he says. In Taiki’s opinion, the hard work asked of an apprentice jockey is well worth it and it’s a job he feels privileged to have. Asked whether he feels proud to be sitting inside the top 20 of the jockey premiership in only his second season racing, Taiki responds modestly. Having only been home to Japan twice since he moved to New Zealand in 2016, Taiki misses his family and friends, and would love to one day return there to ride, but has no plans to do so just yet. Instead, he’s firmly focused on his future in New Zealand.